physical structure, a place where we go for Mass and for the sacraments. However, as the articles in this magazine affirm, the Church is far more than that. So often, people ask what it means to evangelize or to be a missionary disciple. After all, when we were baptized our parents and Godparents volunteered us to carry on the works of Jesus, as recounted for us in the Gospels. Evangelization and missionary discipleship refer to the acts we carry out in the name of Jesus Christ, the One who showed us the way to honor God and to give thanks for his love is by sharing that love with others. I am proud that the ministries of this Archdiocese accept this invitation every day of every year. Whether it be a Catholic school, parish, hospital, nursing home, soup kitchen, senior housing facility or job training program, the institutions and ministries of this Archdiocese are a source of welcome and a reflection of God’s love to those they encounter. In the following pages, you will read about a few of the many programs and ministries in your Archdiocese that perform extraordinary acts of kindness and love in the name of Jesus. In doing so, their evangelizing acts bring God’s love into the lives of others, most especially those most in need, and show the world a Catholic Church that outwardly loves others, whether they be Catholic or non-Catholic, churched or un-churched. And this invitation is not just for Catholic parishes, schools and other ministries. As Catholic men, women and children, we are also invited to follow in the footsteps of Jesus, to wear “the smell of the sheep” Pope Francis speaks of, by accompanying those in our midst who long to see the face of Christ. Parish greeters, Catholic educators, those who prepare and serve meals at Our Daily Bread, who take Communion to the sick and elderly, or who pray with and for those about to have surgery – countless people throughout our Archdiocese answer their baptismal call in ways big and small each and every day. And both the recipients of their Christian goodness, as well as our Church, are all the better for it. I have seen firsthand some of the many ministries performed just like those reported in this edition. I witnessed the harvesting of crops planted at our Northern Baltimore County farm by volunteers of all ages and faiths who came to pick potatoes, tomatoes, cabbage and the like before they were shipped near and far to those with no access to fresh food. I visited inner-city Catholic schools where children received perhaps the only warm meal they would have all day before they also received an education that gave them their only chance to end the cycle of poverty that has gripped generations of their families. 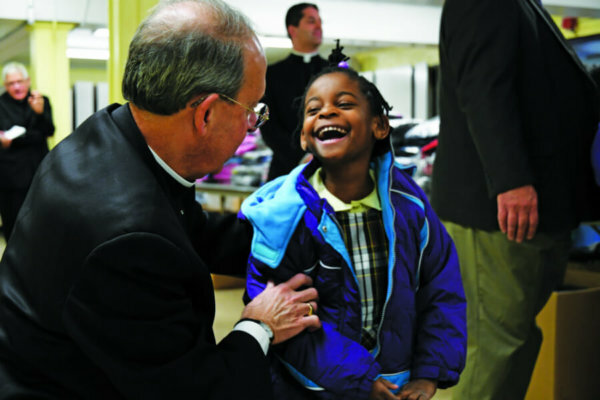 I have stood with Knights of Columbus and handed out brand-new winter coats to children who otherwise would go without. The smiles of the children were only exceeded by those of the Catholic men who considered it a privilege to perform an act of kindness for a child in need. Too often we shy away from discussing our Catholic faith. I hope after reading this issue you’ll be reminded of all the good the Church does, all the good you and your fellow Catholics do in the name of the Church. 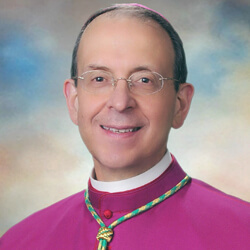 The holy men and women of our Archdiocese are a blessing for our entire Church and are well-deserving of my prayers and gratitude for your generous service.